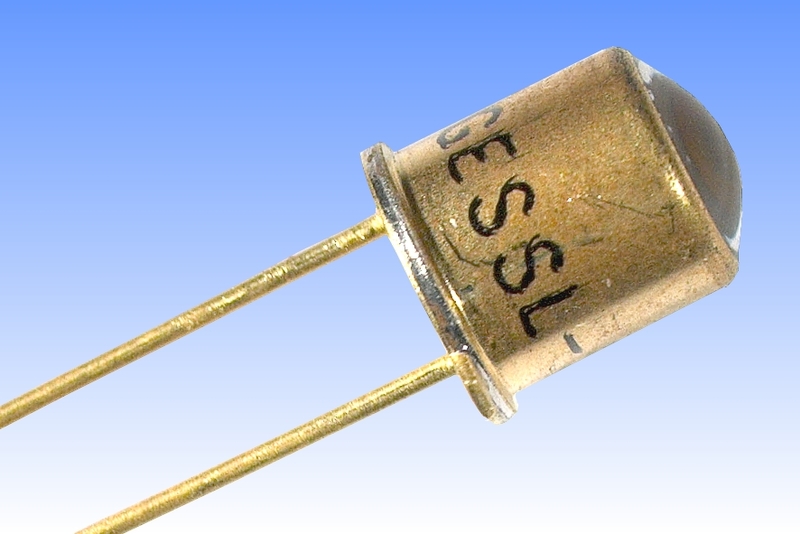 An LED is a Light Emitting Diode first invented by Soviet inventor Oleg Losev in 1927 (FUN FACT: Losev had no formal education or ever held an official research position). In a basic sense, LEDs are just tiny light bulbs that fit easily into electrical circuits. However, unlike standard incandescent bulbs (energy inefficient lights that use coiled filaments), LEDs don’t have filaments and produce next to no heat. How do LEDs work? LEDs produce light by moving electrons through a semiconductor material. A semiconductor is a material with a varying ability to conduct electrical current (to learn more about the details of how semiconductors work, visit howstuffworks.com). In short, when a suitable voltage is applied to the leads of an LED, electrons release energy in the form of photons producing an effect called electroluminescence. The colour of the light produced by the LED is determined by the design of the semiconductor used in the LED. Unlike traditional incandescent bulbs, LEDs have lifespans of thousands of hours, meaning that most LEDs will last decades of use. While these tiny, long-lasting lights are a cornerstone of modern electronics, it took decades after the invention of the LED for scientists to find a practical use for them. In the autumn of 1962 (35 years after their discovery), Texas Instruments produced the first commercial use of an LED – a yellow LED light called the the SNX-100. The first red LED was developed in 1962 by Nick Holonyak, Jr, an engineer at General Electric. The first high brightness blue LED wasn’t developed until 1994. It was developed by a Japanese engineer named Shuji Nakamura. It’s difficult to believe that blue LEDs (a technology that’s now ubiquitous in everyday life) is only 21 years old. Nakamura was recognized for his invention by being awarded with a Nobel Prize in Physics in 2014. So the next time you see an LED (or 6000) take a moment to reflect about the thousands of hours of work and research that went into their creation. We hope you found this brief history of the LED illuminating (*rim shot*).